Please contact us via email for more information or to place an order. Specifically designed for inspection and surveillance applications, the Theiss Agilis Y-6 is 480mm size rotorcraft powered by 6 electric motors. It is called a Y-6 because there are 3 airframe booms that look like a “Y” when viewed from the top, but each boom holds 2 electric motor (one on top, one on the bottom – push/pull) yielding the “6” for the number of motors. 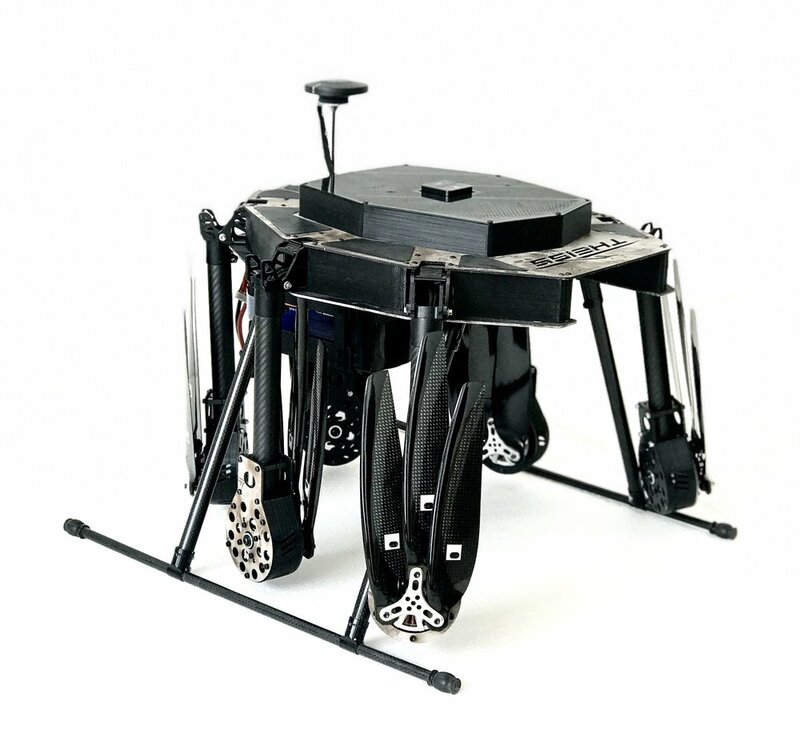 This configuration gives the same amount of lift as in a comparable “Hexcopter”, but on a smaller airframe. 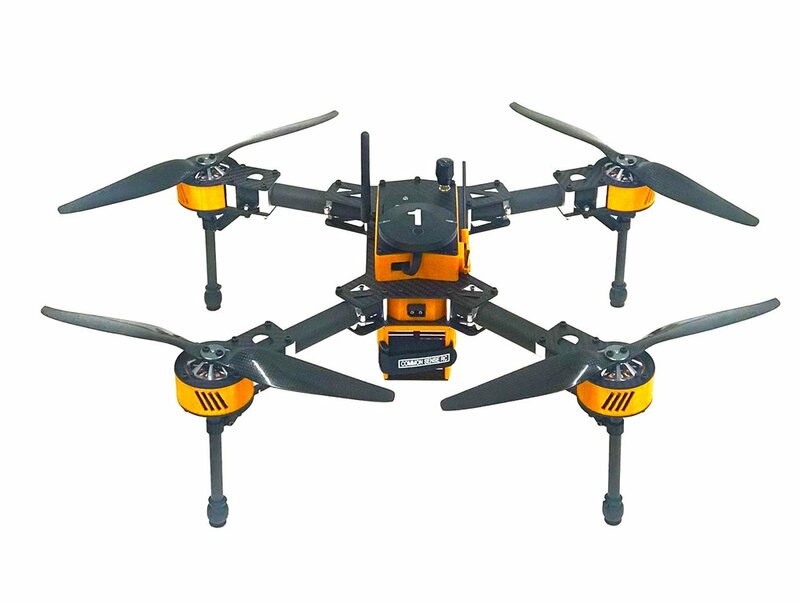 This robust aircraft offers a high sprint speed to arrive on location, and has the lifting power to carry a variety of payload sensors weighing 2.75 lbs or less. In addition, the Agilis Y-6 allows for autonomous flights via GPS Waypoints that can be preprogrammed before flight, or may be altered or changed during flight through the ground control system. The system also offers a “return to home” safety feature when manually commanded by the operator, or if communication is lost between the UAS and the controller. 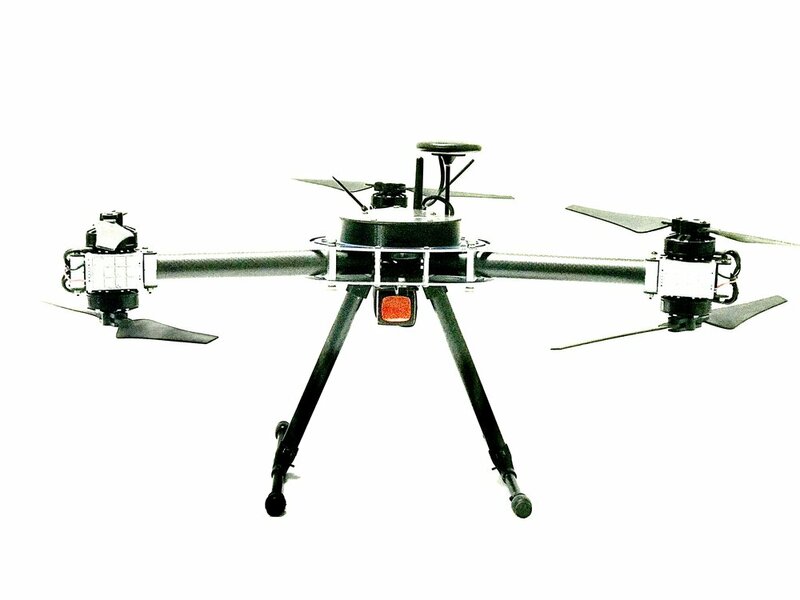 Specifically designed for the Excipio Aerial Netting System, the Theiss Validus Y-6 is 750mm size rotorcraft powered by 6 electric motors. It is called a Y-6 because there are 3 airframe booms that look like a “Y” when viewed from the top, but each boom holds 2 electric motor (one on top, one on the bottom – push/pull) yielding the “6” for the number of motors. 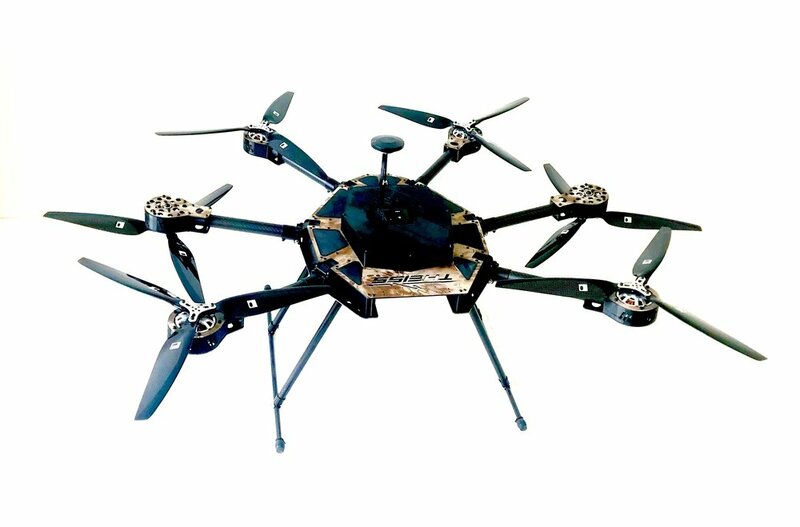 This configuration gives the same amount of lift as in a comparable “Hexcopter”, but on a smaller airframe. This robust aircraft offers a high sprint speed for overtaking a desired target, and has the lifting power to carry off most targets weighing 5 lbs or less. In addition, the Validus Y-6 allows for autonomous flights via GPS Waypoints that can be preprogrammed before flight, or may be altered or changed during flight through the ground control system. The system also offers a “return to home” safety feature when manually commanded by the operator, or if communication is lost between the UAS and the controller. For more information or pricing, please contact us. The Theiss PRIMUS AIR is a hybrid design that is a five-motored flying wing, where four motors are used for vertical take-off, landing, and hovering as a quadcopter, then the fifth motor is used for forward flight. This configuration gives the ability to launch and recover from small areas, hover, yet have a high sprint speed and the efficiency of a fixed wing aircraft. 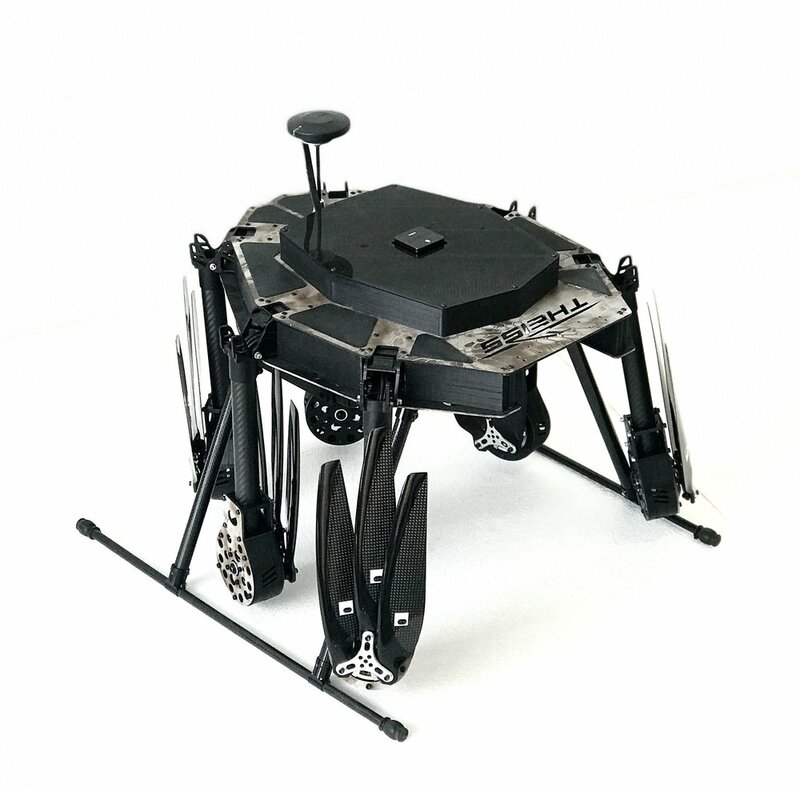 In addition, the PRIMUS AIR allows for autonomous flights via GPS Waypoints that can be preprogrammed before flight, or may be altered or changed during flight through the ground control system. The system also offers a “return to home” safety feature when manually commanded by the operator, or if communication is lost between the UAV and the controller.